Winter is just around the corner and snowflakes are some of my favorite part of winter. This is a great printable for those working on numbers during winter. There are snowflakes themes matching up to the number and have tracing for the number digit and the number word. I really like being able to work on both types of numbers together. Plus this matching up great with all the Winter activities in my Snow Learning Pack. 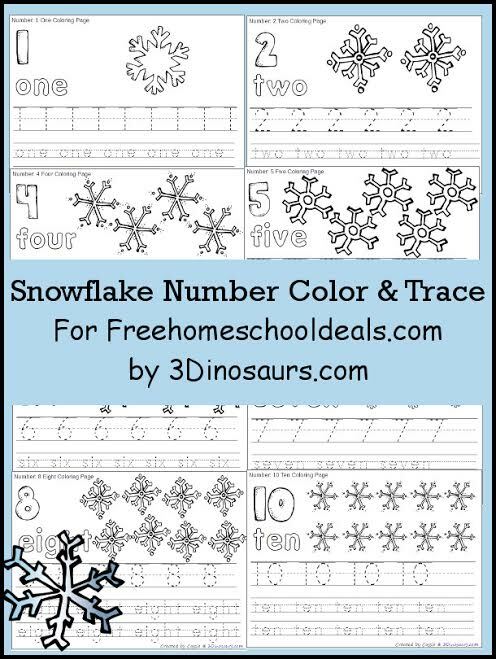 Grab your FREE SNOWFLAKE NUMBER COLOR & TRACE PRINTABLES here!